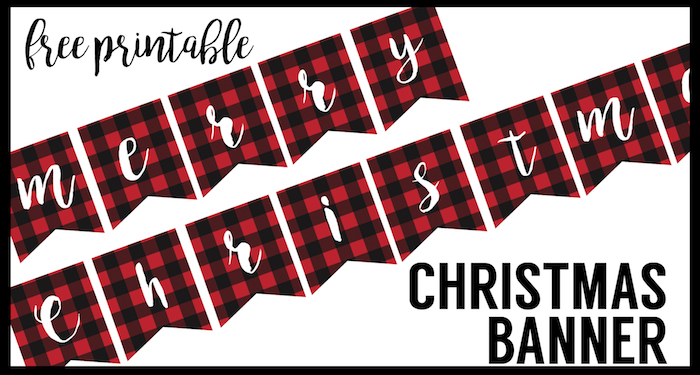 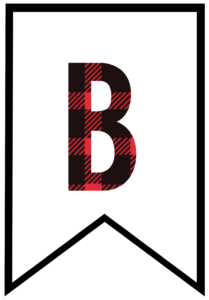 I couldn’t decide what message I wanted to make for our next printable banner so I made these buffalo plaid free printable banner letters in the entire alphabet so you can personalize your own banner. 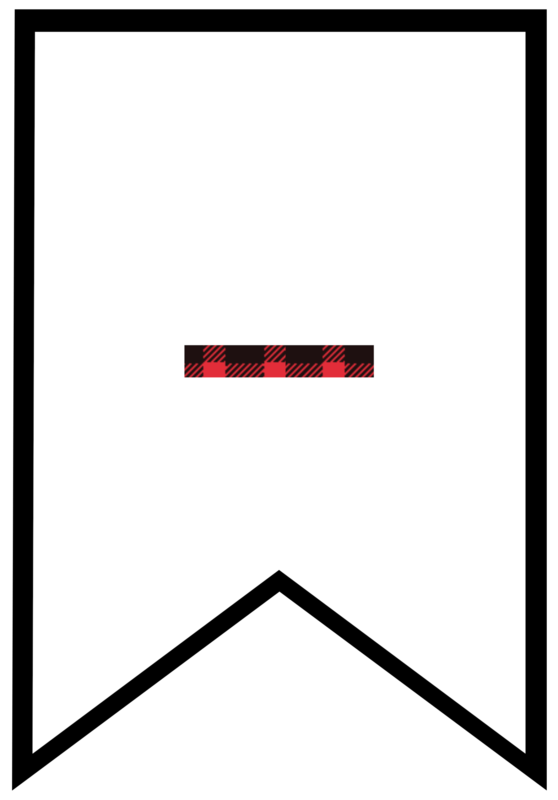 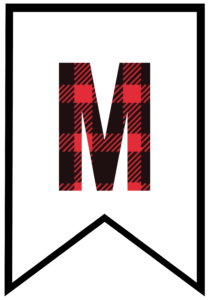 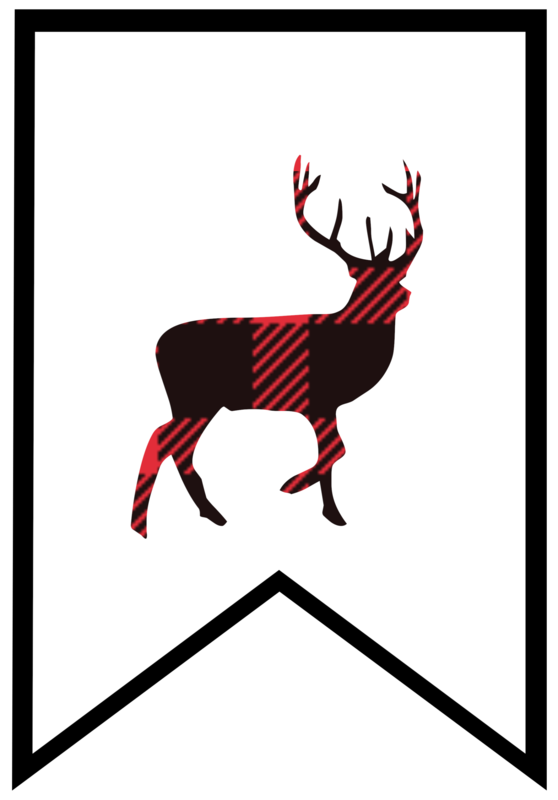 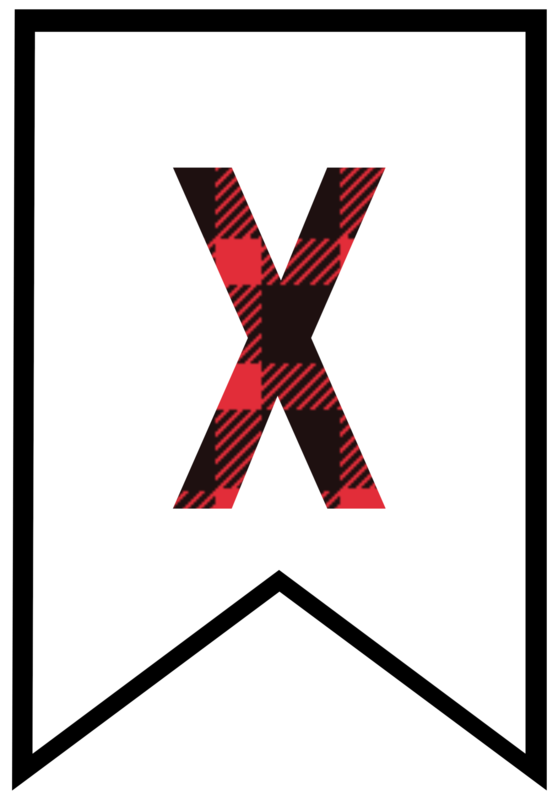 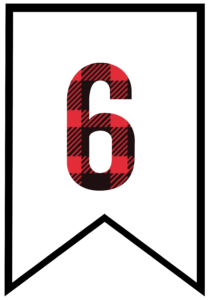 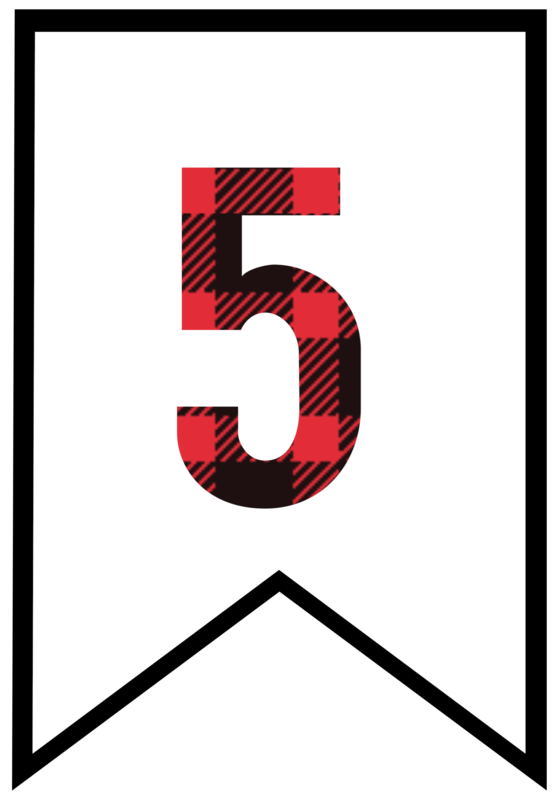 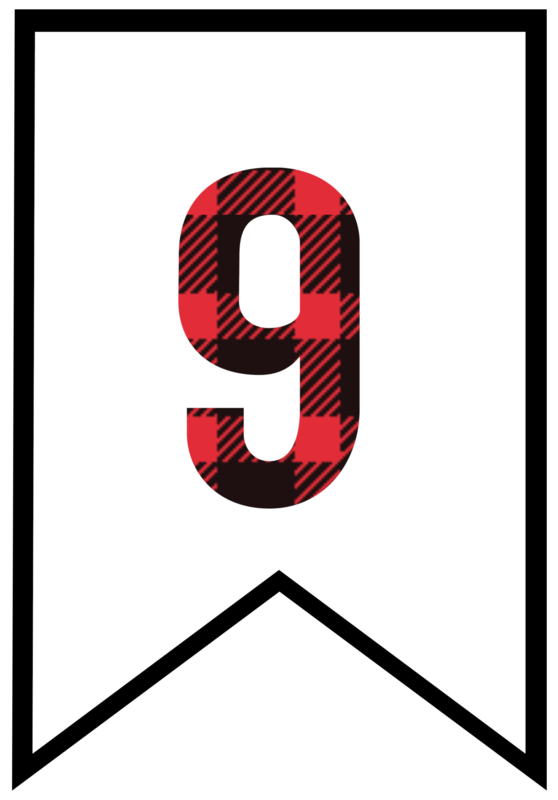 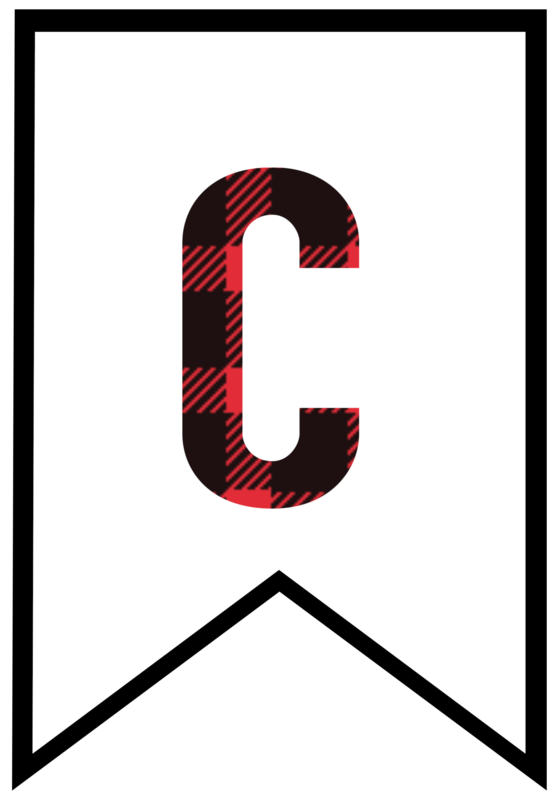 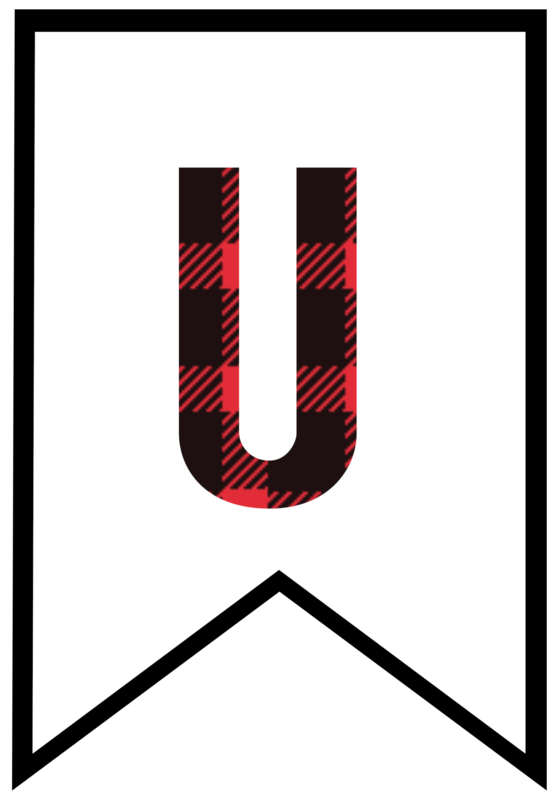 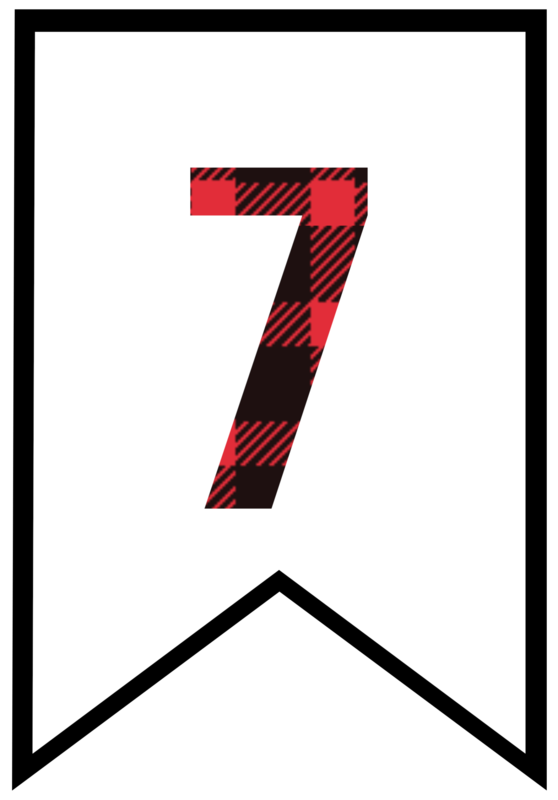 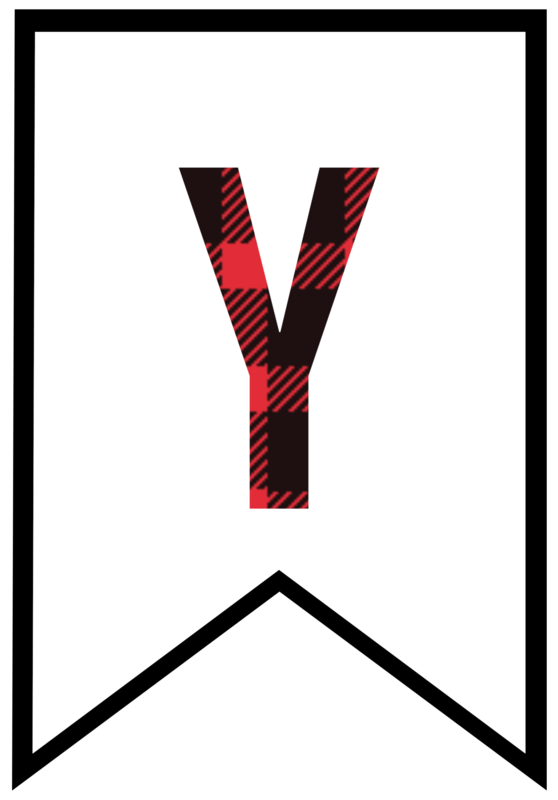 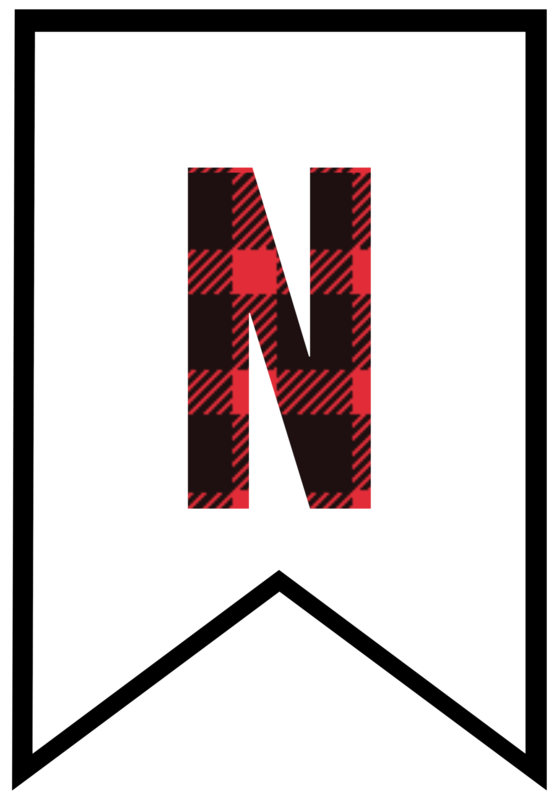 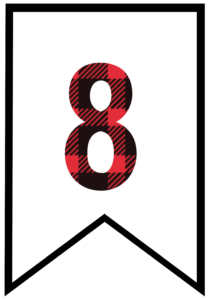 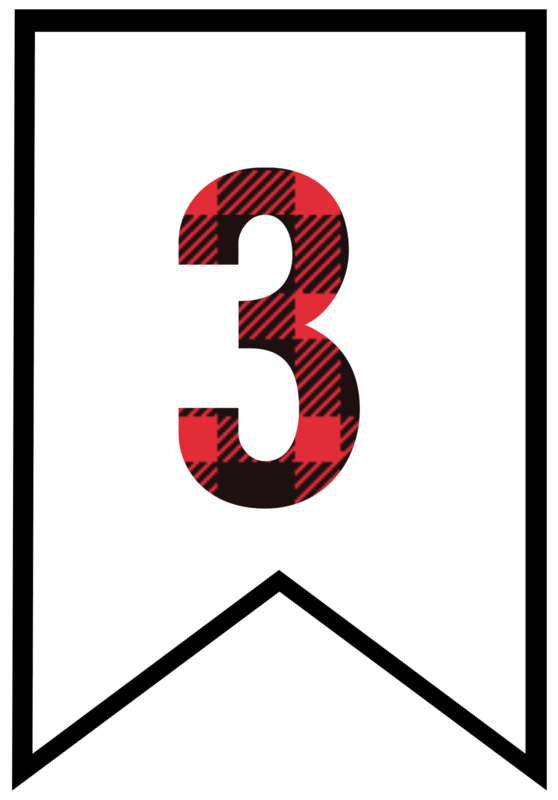 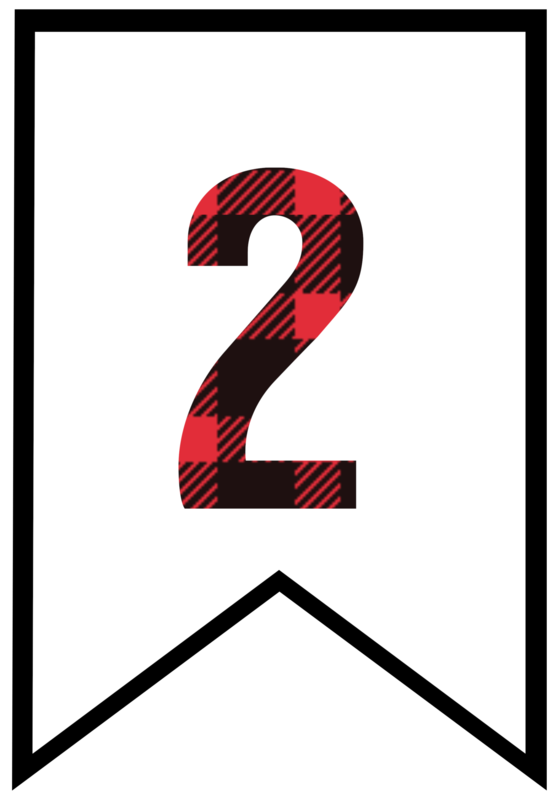 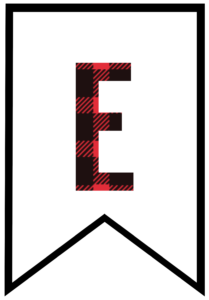 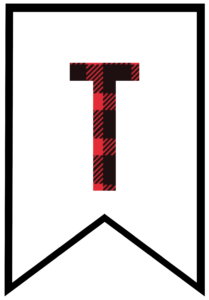 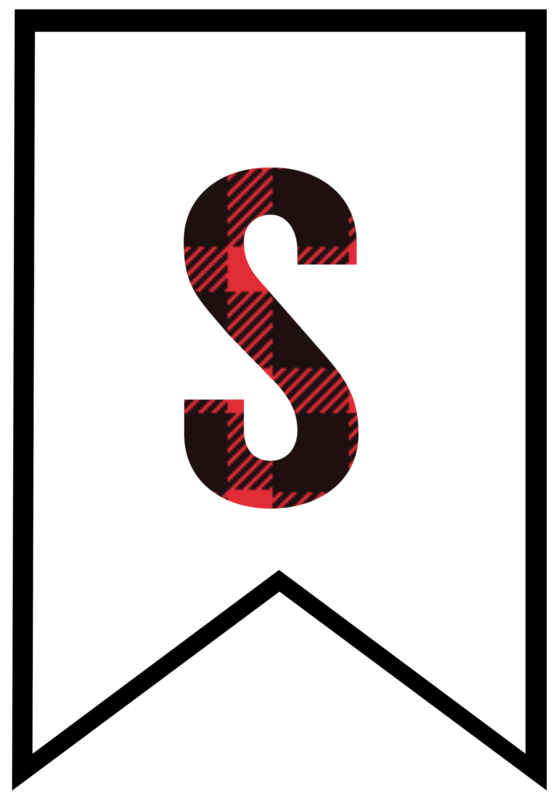 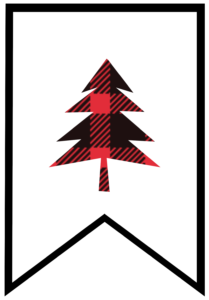 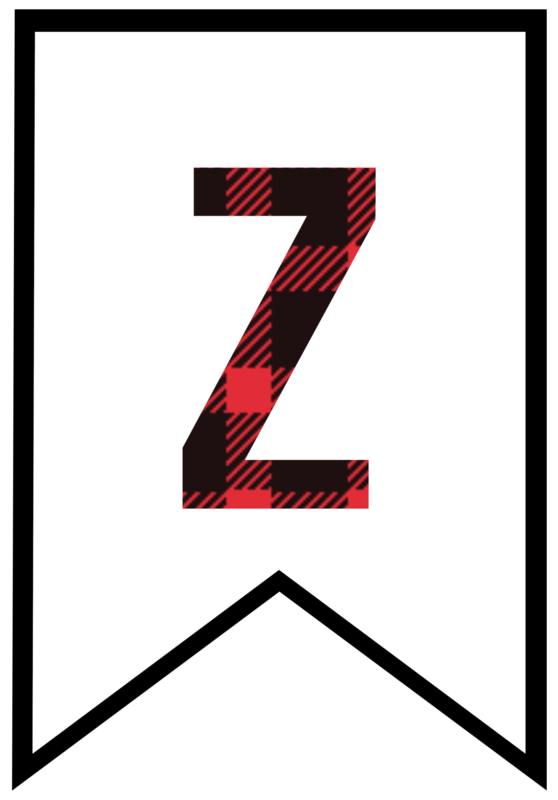 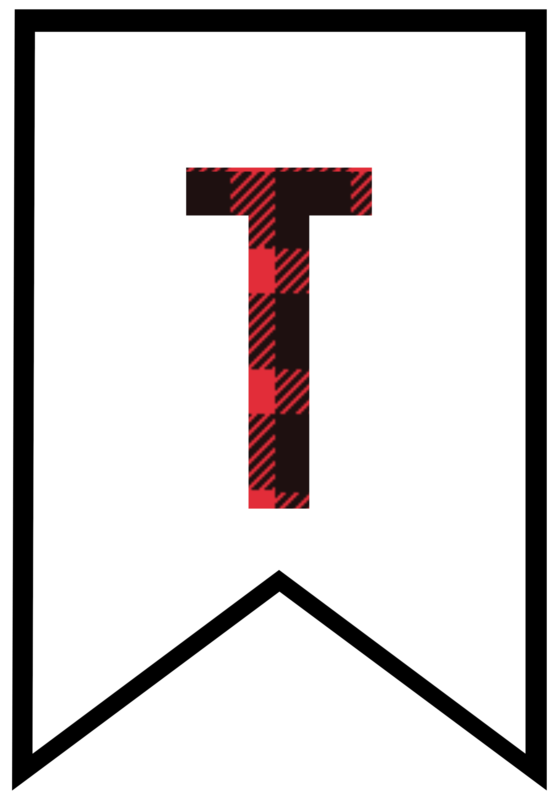 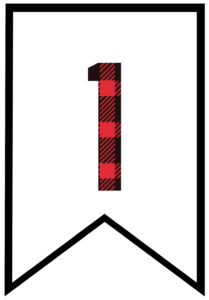 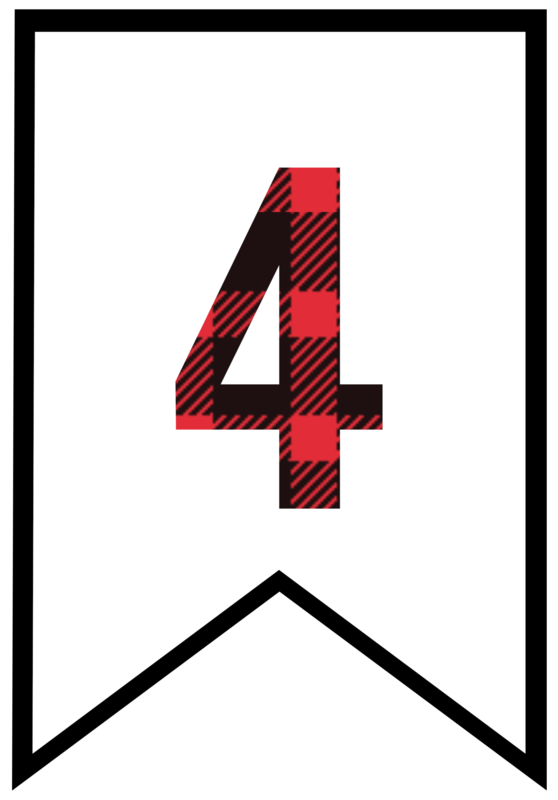 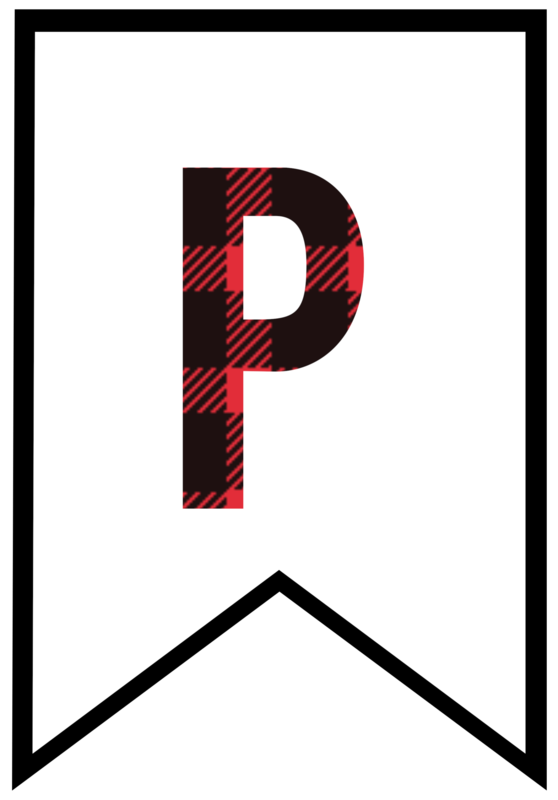 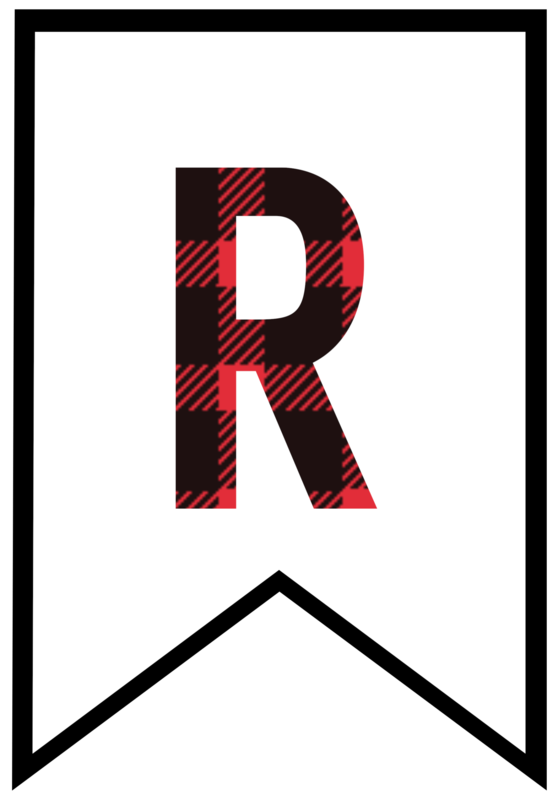 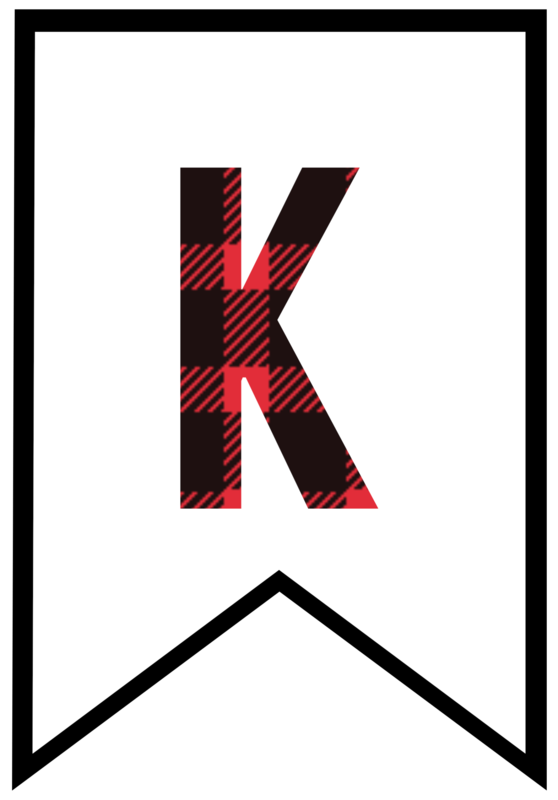 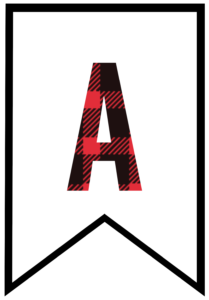 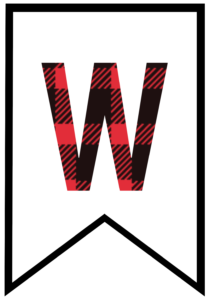 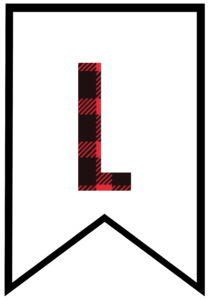 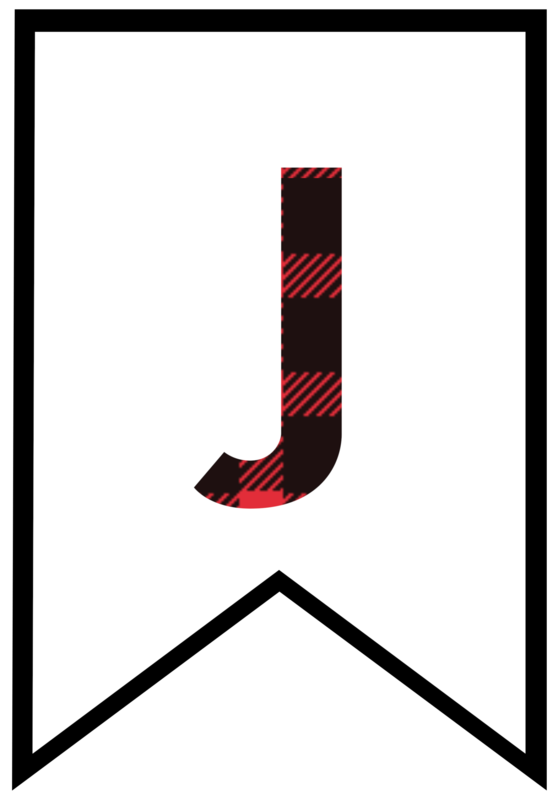 Use it for Christmas banner flags, for a Lumberjack happy birthday banner, or for a flannel plaid lumberjack baby shower. 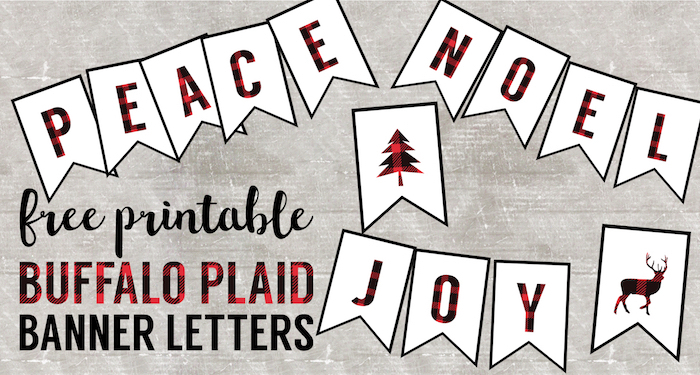 I plan to use this for Christmas banner letters. 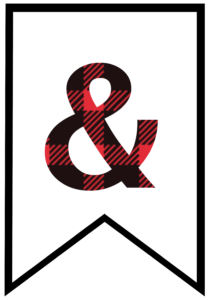 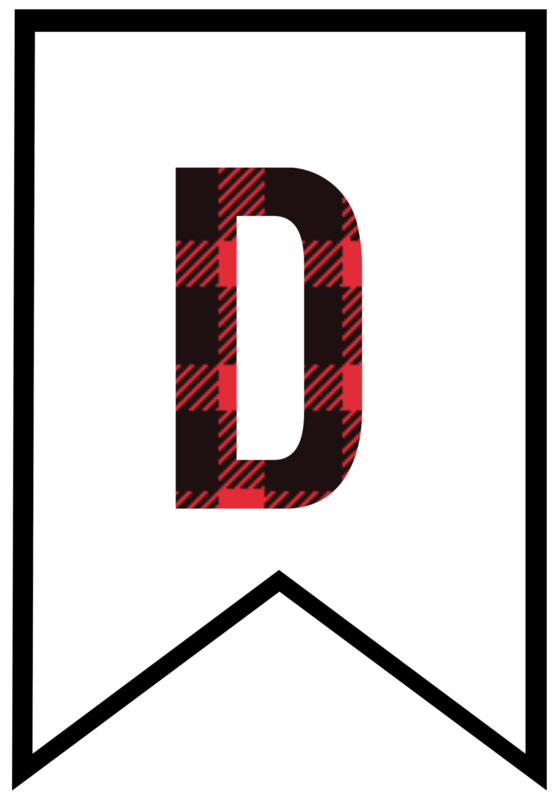 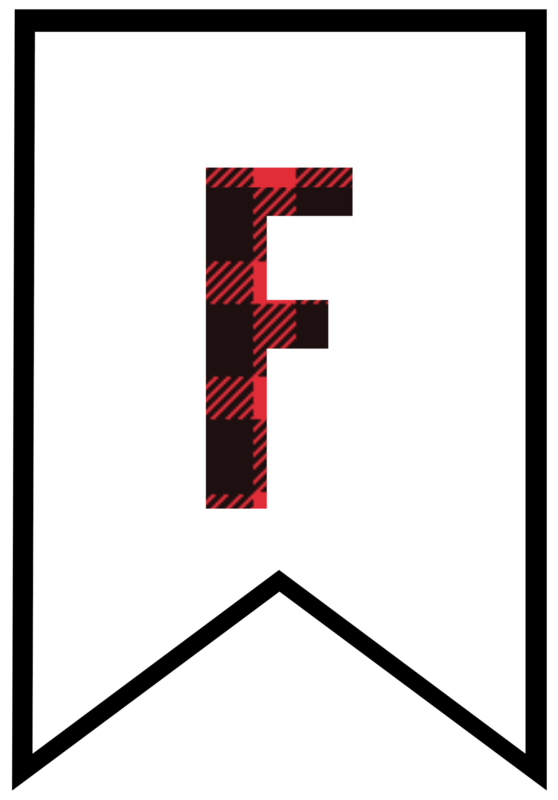 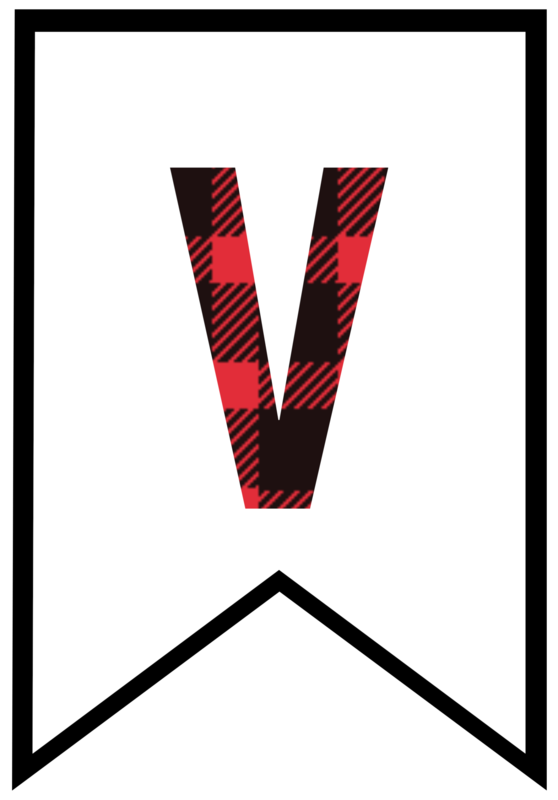 If our flannel plaid banner doesn’t have what you want, we’ve also got a blank banner flag so you can use PicMonkey, a free website for editing images to make your own banner flags. 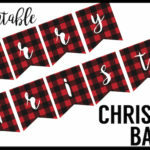 If you are throwing a Lumberjack birthday party, Lumberjack baby shower, or rustic Christmas party, this set of buffalo plaid paper products on Amazon is perfect! 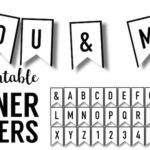 Don’t forget to check out PicMonkey a free website where you can easily customize these Buffalo Plaid Free Printable Banner Letters. If you want a little more guidance then check out our tutorial on how to use picmonkey. You can also print this Merry Christmas Banner here! 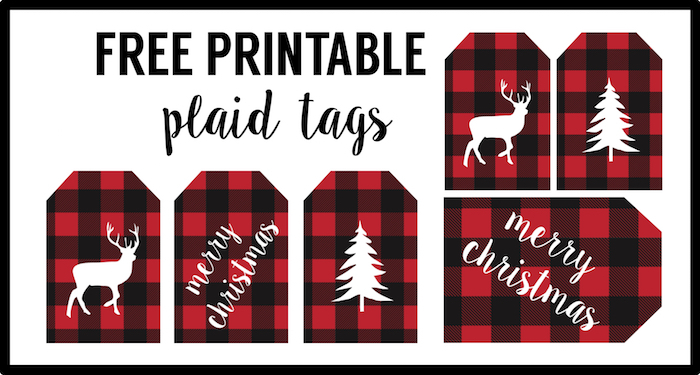 These Buffalo Plaid gift tags make brown paper wrapping look adorable! 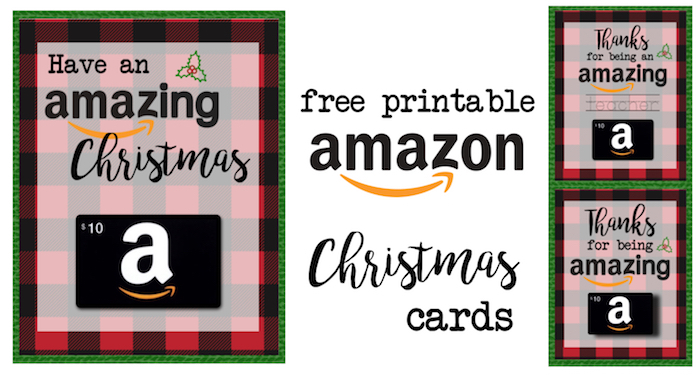 If you have a teacher to give a gift to or a picky person on your list these printable amazon Christmas cards are perfect.